Toddler Approved! 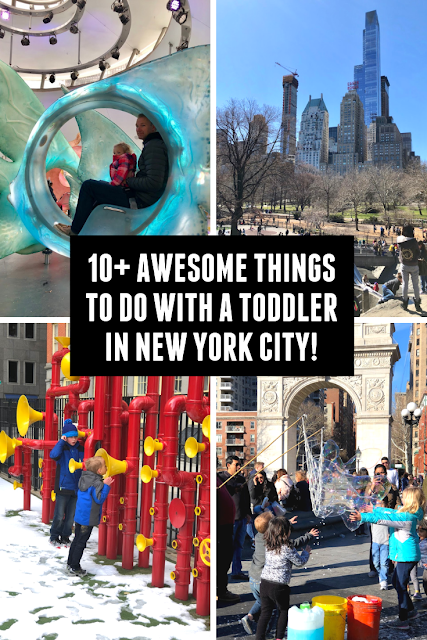 : 10+ Awesome Things to do with a Toddler in New York City! 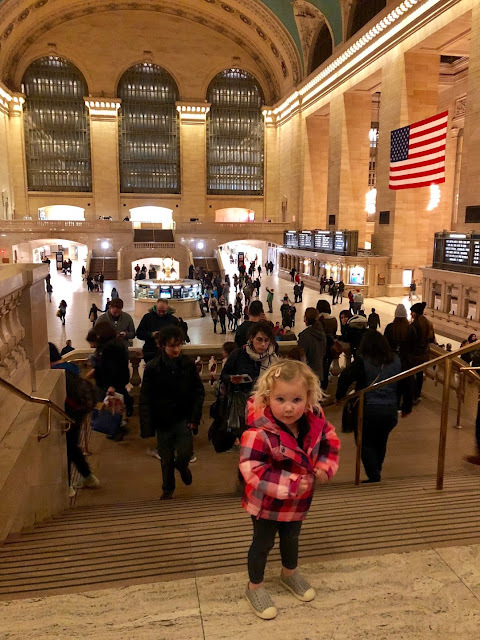 Toddlers in the Big Apple are so fun! Some people like to make it seem like New York City is only for adults and that if you're going you want to leave the kids at home... but I disagree! We took all four of our kids with us to New York City last year for Spring Break and the trip was EPIC! The kids are STILL talking about it! Today I'm going to share 10+ awesome things to do with toddlers (and bigger kids) in New York City! If you've been to NYC, we'd love to hear your favorite spots as well! These 10+ activities are in no particular order! We loved them all the same! 1. 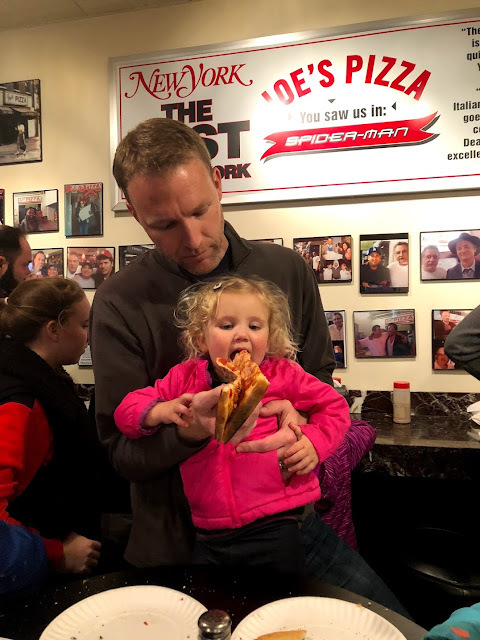 Teach your kids how to eat pizza the New York way! Don't get a knife or fork out! Take your kids to a New York Pizza spot and teach them how to fold the pizza in half and eat it! 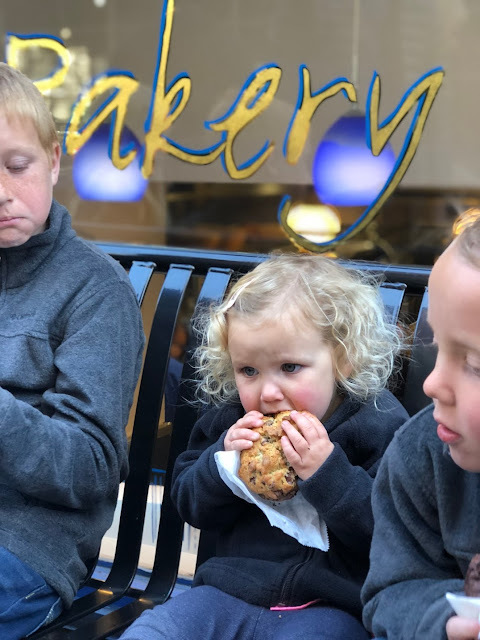 Toddlers will need a bit of help of course, but this is a yummy way to kick off your trip to New York. 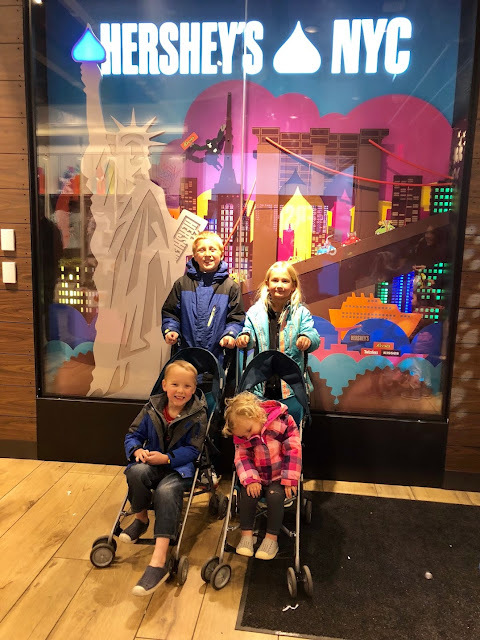 We went to Joe's Pizza near Times Square and everyone loved it! I am drooling right now thinking about it. 2. Walk across the Brooklyn Bridge! Bring a stroller for any kid 5 or younger. Why? Because part of vacation involves YOU having fun too! 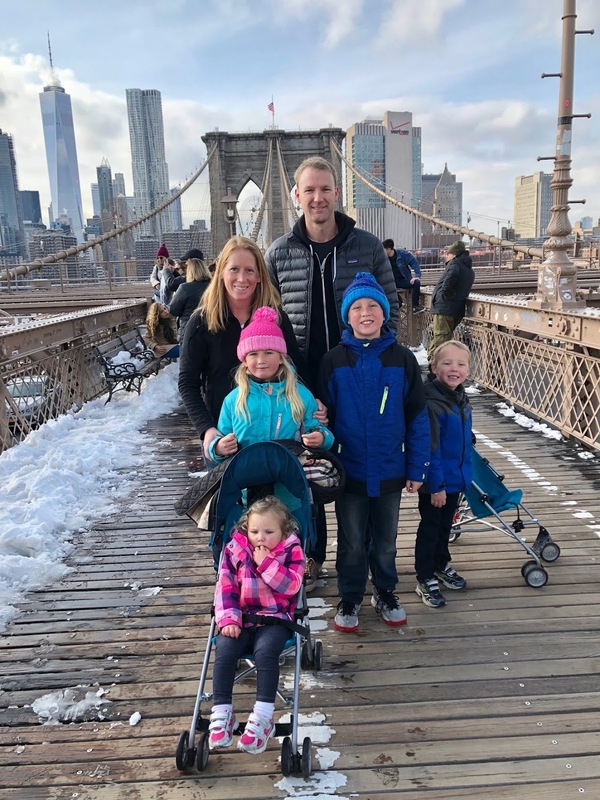 If you aren't quite sure if your kids can actually walk the 1.1 miles across the bridge, just bring a stroller or some sort of carrier and let everyone enjoy it and avoid any whining. The views are gorgeous, it is fun to people watch, and it is a great workout! We love to eat treats on our trips... so getting exercise is a MUST as well! We love to walk across the bridge and head into Brooklyn for pizza at Grimaldis. It is yummy and family friendly! Make sure your bring cash! 3. 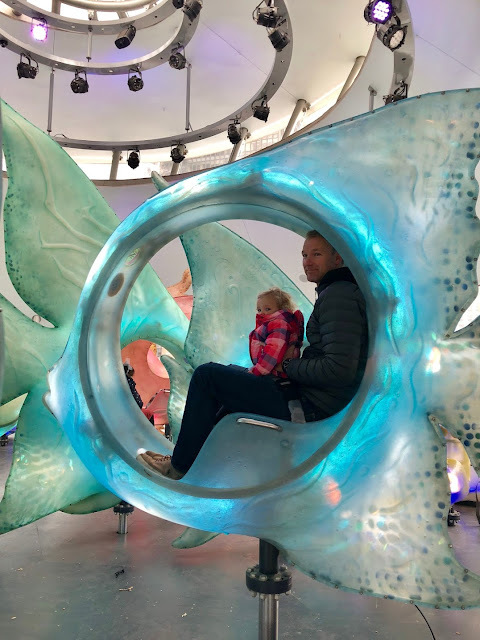 Check out the SeaGlass Carousel at the Battery Conservancy! This is so much fun for little toddlers and big kids to ride. The Carousel is close by where you get on the boat to go and see the Statue of Liberty too. 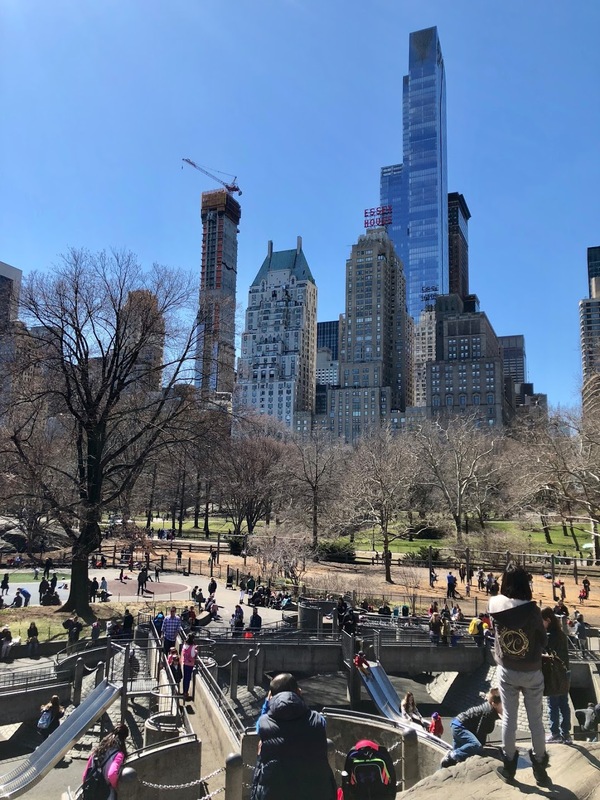 You can grab a view of Lady Liberty, ride the Carousel, and even check out the little playground nearby. Battery Park is undergoing a renovation and there should be a really cool playground expansion popping up sometime this year. I can't wait to go back! South Street Seaport is a cool little area to check out with shops and boats. 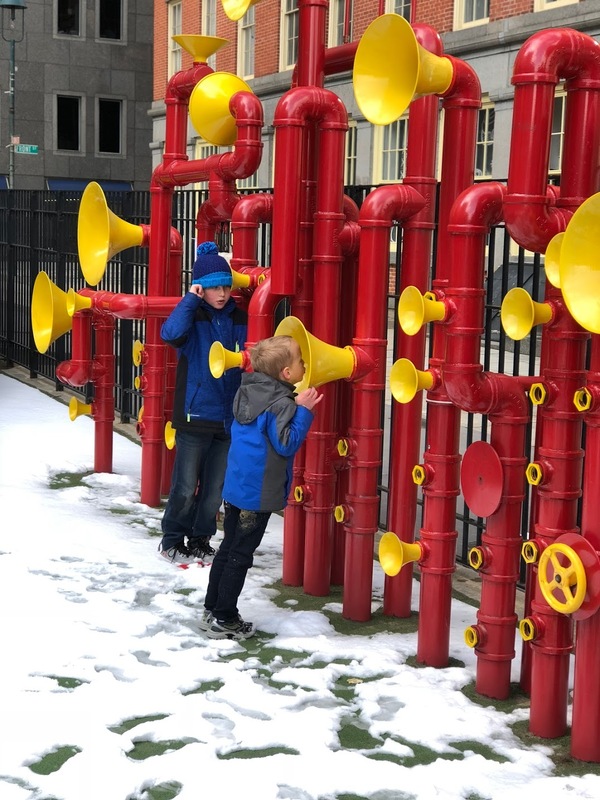 While you're nearby, don't miss out on the Imagination Playground. There are so many creative and fun hands on activities to try out! When we went last year if was covered in snow and the kids still had a blast! This is a MUST in New York! It took my toddler a few days to like the subway because she thought it was really loud. Once she got used to covering her hears for the initial car arrival, she was great. Going up and down the escalators (and stairs) to get in and out of the subway terminals was also a favorite. If you have a little one, make sure to either bring a carrier or easy to fold up stroller when you are going on the subway! You want to be able to move quickly! We bought a cheap umbrella stroller to bring with us that was lightweight. There are several playgrounds in Central Park to visit. 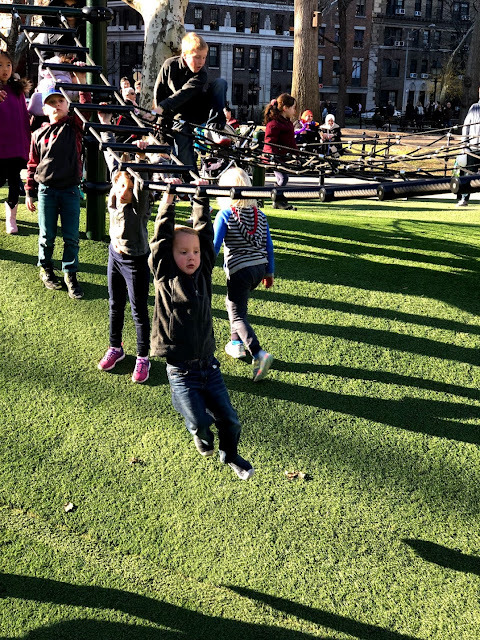 Our favorite is Heckscher Playground. There are so many things for kids of all ages to do! You can also go and see Balto the dog while you are in Central Park and roam through all of the pathways and tunnels! 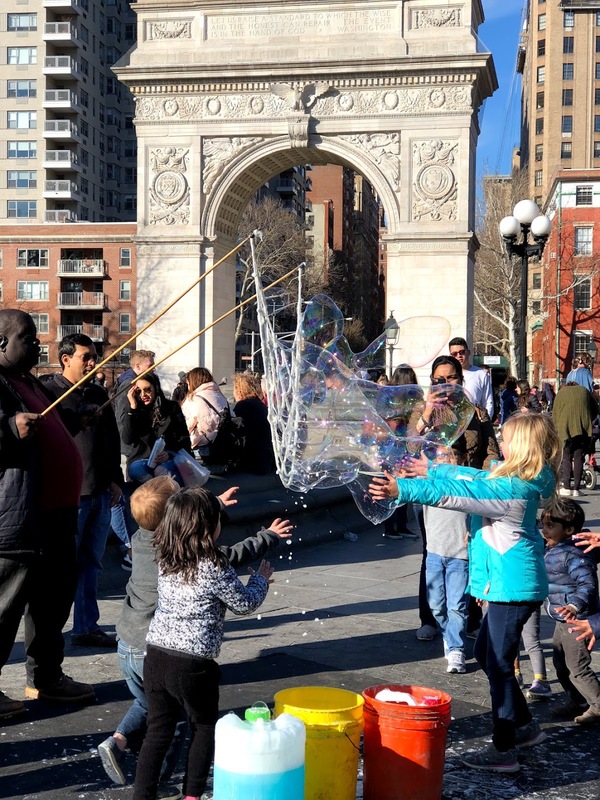 There are even fountains to check out and bubble guys that let you make giant bubbles! I also loved riding on the horse and carriages when I was little. 7. Stop for some treats! Some of our favorite treat spots are Levain Bakery for cookies and other baked treats. 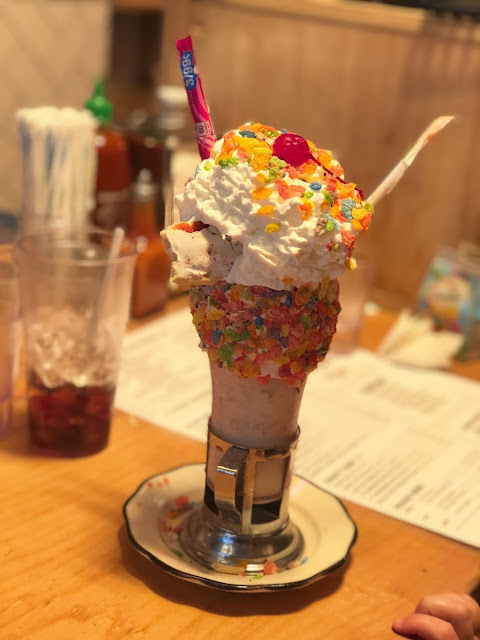 Black Tap for some of the most amazing and giant ice cream sundaes we've ever eaten! 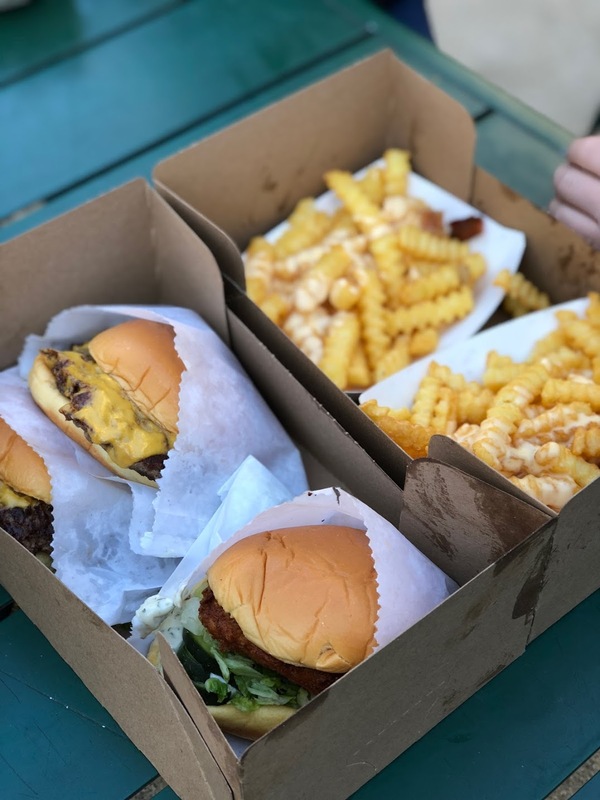 Shake Shack in Madison Square Park was also a mandatory stop! Milkshakes and fries were delish! My kids also loved the burgers and fries. While you are waiting for your food, send one adult over to the playground with the kids that is also in the park! It is so nice having one nearby! PS- When we went, none of the bathrooms were working anywhere near the park. There IS a McDonalds right across the street that saved the day though! 8. Hike up the Stairs in Grand Central Station! Grand Central Station is such a beautiful building and it is fun to watch all the hustle and bustle! Kids will love climbing up and down the stairs and just observing in the great big place! 9. Play in Washington Square Park! 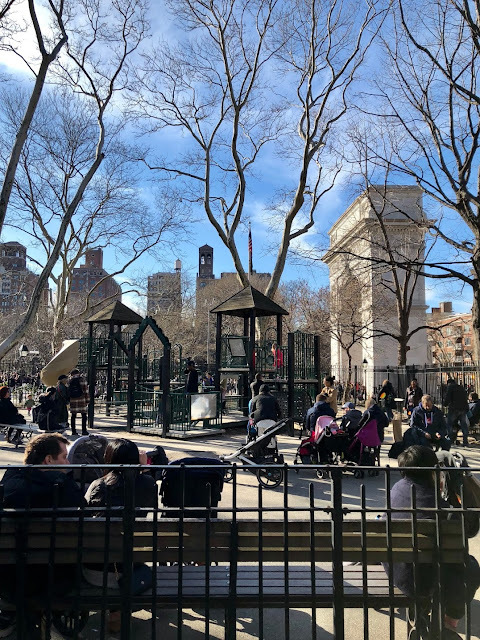 There is not one, but TWO playgrounds in Washington Square Park. We loved trying out both of them... especially the gated playground that is perfect for toddlers. They can't get out and you can relax for a sec. As you roam around you can also catch street musicians and bubble blowers that are fun to watch! 10. Check out fun Candy Shops! Dylan's Candy Bar, the Hershey's Store, and the M&M store were a few popular stops on our adventures around the city! If you have a toddler with you, plan on them crashing in your stroller at some point during the trip! 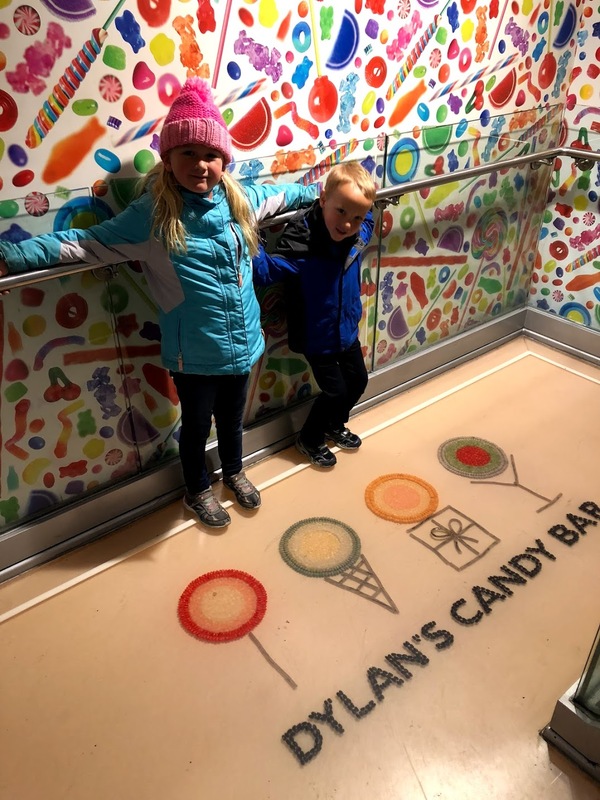 This happened to us right as we got into the Hershey's store! We loved exploring the different candy stores and picking a few treats to take home with us for the airplane ride! The Museum of Natural History is one of our favorites! We ran out of time on our last trip because we only had 2.5 days, but definitely check it out! The movie The Night at the Museum is based on this spot so it is a fun movie to watch with bigger kids before you go. Little kids will love all of the animals and cool things to check out! The Children's Museum of Manhattan is amazing too! There are 5 floors of fun! 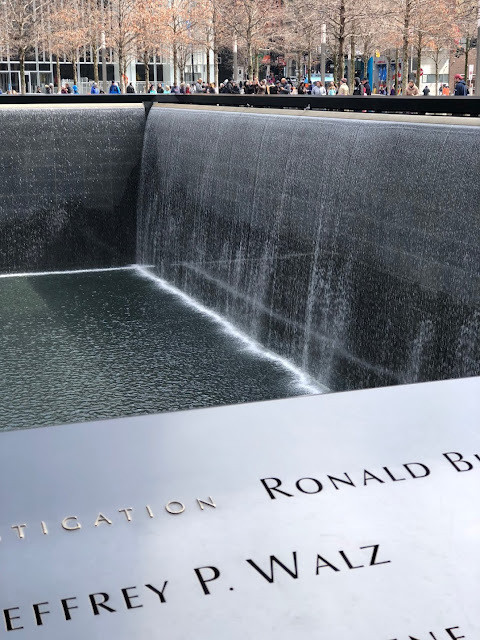 We also took our kids to the 9-11 Memorial, mostly for us, but they enjoyed it as well. We walked around the grounds and admired the beautiful fountains. This is not a place to run or climb. If your toddler is really loud or active, skip this solemn spot until he is older. 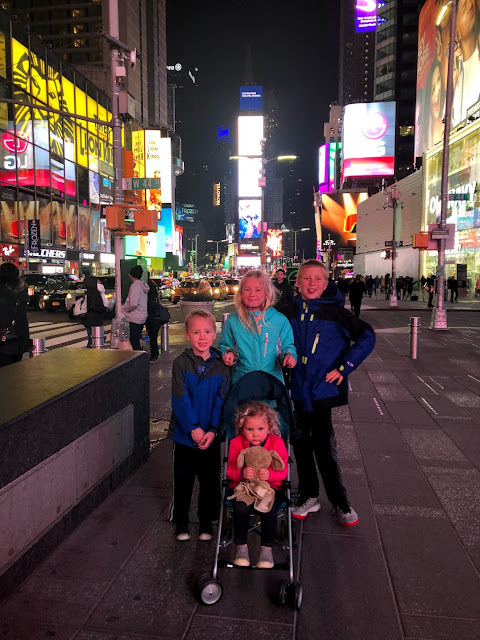 Your toddler will probably be totally overwhelmed (in a good way) by the colors and movement on the screens in Times Square. It is cool to walk around and watch what is showing! Most likely your toddler will be mesmerized! This can count as your "show" for the trip since I wouldn't recommend taking your toddler to a Broadway Show this time! 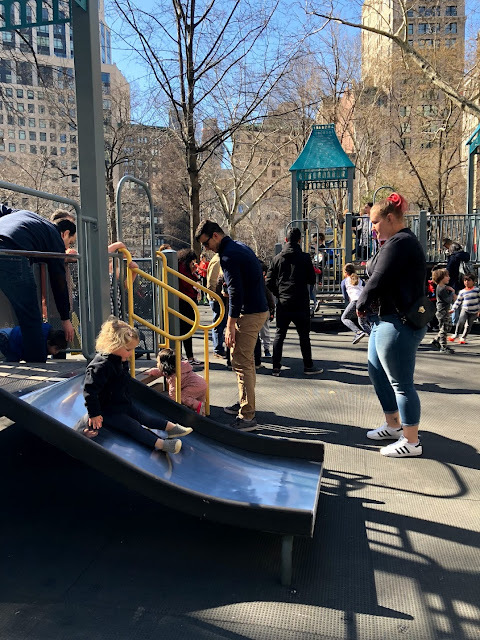 There are several more exciting playgrounds and activities to try in New York, but this is just a small sampling of our favorites! 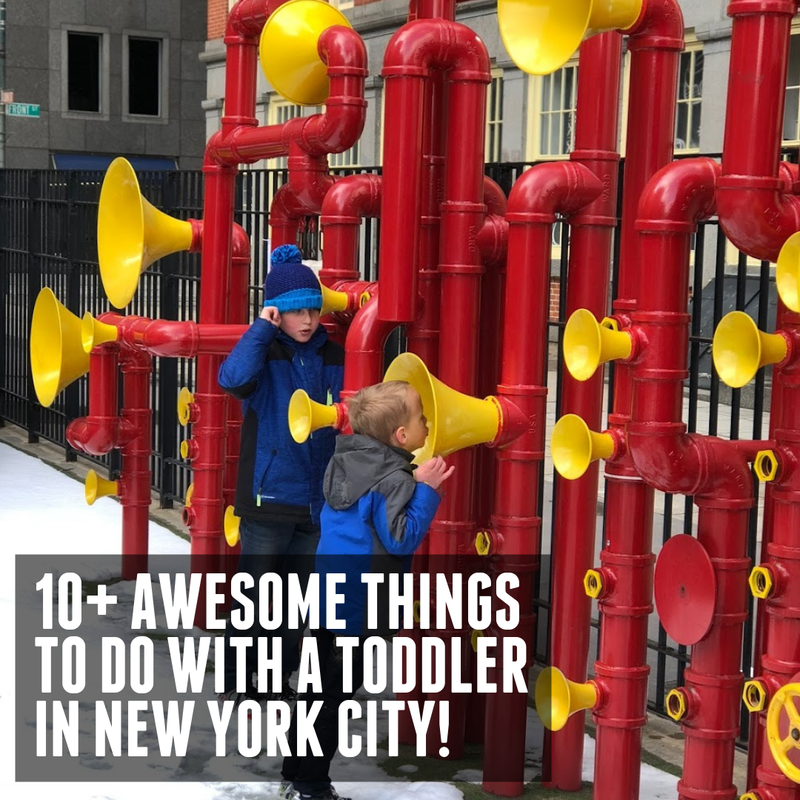 Going to New York City can be so much fun with kids if you plan ahead and make sure to visit many of these kid friendly spots in between any other adventures you want to go on! 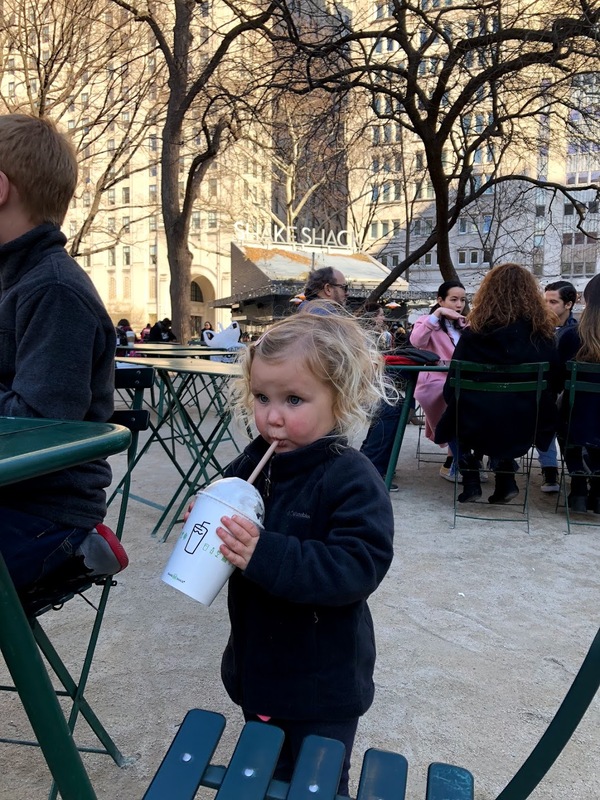 Do you have any other favorite kid and toddler-friendly places to visit in New York City? Please share!